Ho Chi Minh City-based real estate enterprises have shifted their investments to other provinces as the city has limited licensing of new projects and tightened control on investment procedures along with a used-up land fund, especially in the inner city area. Many real estate firms have moved their investments to provinces where there are potentials and developments in infrastructure such as Dong Nai, Can Tho, Long An, Binh Dinh provinces and Da Nang city. Some even expanded investments to provinces in the north. 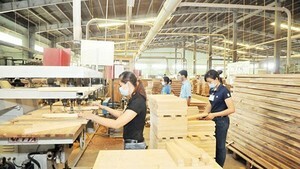 Particularly, Nam Long Group, which used to successfully develop the affordable housing E-home projects as well as residential areas in Ho Chi Minh City, including Mizuki – Nguyen Son and Akari City, has expanded its business to the north and key economic zones in the south by buying three new land funds in Dong Nai Province and Hai Phong City this year. Phat Dat Real Estate Company also said that developing market in Ho Chi Minh City has been facing difficulties so it has a new strategy to focus on the market in the Central of Vietnam and legally-completed projects so as to put its products on sale as soon as possible. Similarly, last year, Novaland Group started to develop projects in neighboring provinces, including Ninh Thuan and Ba Ria – Vung Tau. Hung Thinh Corporation after developing strongly in Ho Chi Minh City has also switched to invest in three residence areas in the coastal central province of Binh Dinh. Ho Chi Minh City Real Estate Association said that concerns raised among real estate companies in the first three months of this year as several project were stagnant. Consequently, real estate firms have faced increasing costs, loss of business opportunities, piling up difficulties and even bankruptcy. Besides, business environment has lost transparency, become harder for prediction and possibly increased risks for firms. Therefore, several real estate firms in Ho Chi Minh City have left the city to carry out projects in other provinces because of their great potentials and investment opportunities. In addition, in these new markets, real estate firms are welcomed and get many preferential treatments as well as high profitability potential. 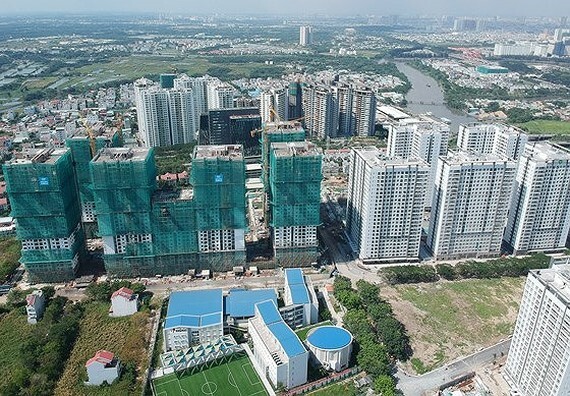 At the recent meeting on real estate market in Ho Chi Minh City, Mr. Tran Trong Tuan, director of the city’s Department of Construction, said that since the beginning of this year, the number of licenses for housing projects under the authority of the department has declined 63 percent. The number of projects that investors carried out legal procedures to be recognized as investors has dropped drastically. The number of projects that are qualified to be put on sale in the future has also sharply fallen. With the current situation, not only do real estate firms encounter with difficulties but it also causes city’s budget collection from real estate sector to decrease heavily. The leader of the department said that commercial housing projects are facing three entanglements. The first is selection of investor. The second is land use changing and the last is construction licensing. Thus, if there is no solution to resolve the situation, the city’s real estate market is expected to experience more difficulties.